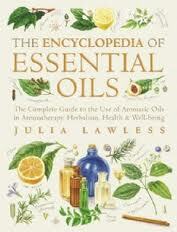 I talk to Julia Lawless, author of The Encyclopedia of Essential Oils! This week I talk to Julia Lawless, author of a number of different Aromatherapy Books including The Encyclopedia of Essential Oils. There is Ali’s Business Tip and I talk about which essential oils can help with Asthma and Pneumonia. Are you interested in essential oils? Are you interested in making products using essential oils or would you like to make your family their Christmas Gifts this year! For this workshop you will learn to make: Mister/Room Spray and Bath Salts which make fantastic Christmas Presents! You will be using a variety of essential oils blends created from pure therapeutic grade essential oils and then you can design your gift for Christmas. Listen on Wednesday 22nd October 2014 at 1pm to Essential Wellbeing on Natural Health Radio!